A team led by Dr. Marco Taddei, Marie Sklodowska-Curie Actions Fellow at Swansea University, is investigating how the properties of metal-organic frameworks, a class of materials resembling microscopic sponges, can be adjusted by taking advantage of their defects to make them better at capturing CO2. 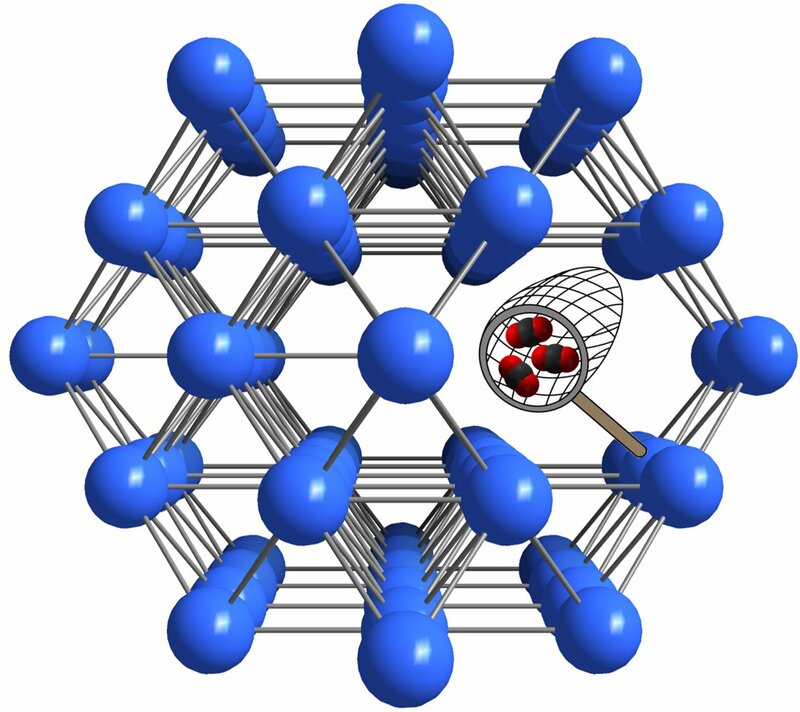 Dr. Taddei said: "Metal-organic frameworks, or MOFs, are extremely interesting materials because they are full of empty space that can be used to trap and contain gases. In addition, their structure can be manipulated at the atomic level to make them selective to certain gases, in our case CO2." 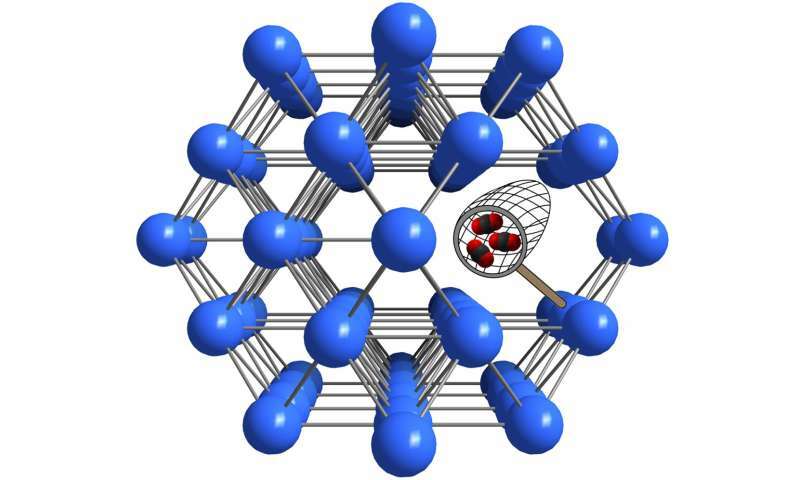 "MOFs containing the element zirconium are special, in the sense that they can withstand the loss of many linkages without collapsing. We see these defects as an attractive opportunity to play with the properties of the material." The researchers went on to investigate how defects take part in a process known as "post-synthetic exchange", a two-step procedure whereby a MOF is initially synthesized and then modified through exchange of some components of its structure. They studied the phenomenon in real time using nuclear magnetic resonance, a common characterization technique in chemistry. This allowed them to understand the role of defects during the process. "We found that defects are very reactive sites within the structure of the MOF, and that their modification affects the property of the material in a unique way." said Dr. Taddei "The fact that we did this by making extensive use of a technique that is easily accessible to any chemist around the globe is in my opinion one of the highlights of this work." "Reducing the CO2 emissions derived from energy production and industrial processes is imperative to prevent serious consequences on climate," states co-author Dr. Enrico Andreoli, Senior Lecturer at Swansea University and leader of the CO2 capture and utilization group within ESRI, "Efforts in our group target the development of both new materials to efficiently capture CO2 and convenient processes to convert this CO2 into valuable products."